It is powerful, rich and strong red wine of the northern part of Bordeaux’s famous wine region Medoc. It’s pretty fruity, tender pepper and tobacco notes, smart barrique and nicely balanced since there is a fairly present tannin which will get less as older the wine should become, I think. The great thing about this wine, and this is what I wrote about the 2011 vintage, in comparison to other wines of this outstanding regions this a red with likeable mineralic elements. As this vintage seems to be a bit more voluminous it isn’t surprising that it has alcohol of 14%! Whatever, if you look for very good quality of wine with his own character and a strong own identity and drinkable now: I am happy to recommend this red blend. 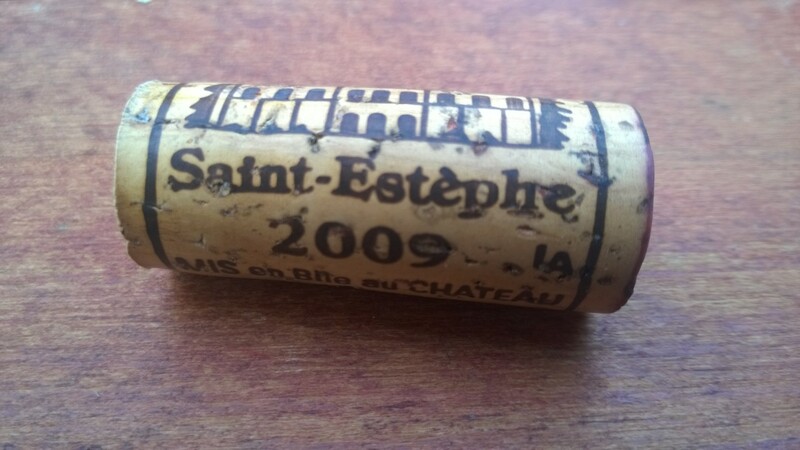 Made by the same people behind Château Léoville Poyferré (https://avdwineandfood.wordpress.com/2015/02/20/chateau-leoville-poyferre-saint-julien-2007/) you can expect maybe even better wines in the future. It is worth to watch how will be the wines of years to come. Aside of this wine in particular it is astonishing how much influence vintages have to the price of a bottle of Bordeaux wine. Therefore, consider this review only from the point of taste but not from the money point of view. Sometimes the differences between same wines of different years are ridiculous and can account more than hundred Euros. I honestly do not know the price of this wine. Please find further information at http://www.chateaulecrock.fr/.